Our work is about gleaning and disseminating the hard-won wisdom of accomplished women across industries and generations. We ask better questions, leverage strengths and wisdom to solve problems, mitigate risks, and create higher value for our workplaces, families, communities, and world around us. With clarity and honesty about histories and realities, we promote optimism, learning, and practical action for the future. We have compassion for each other, lighten distress, advance awareness, spread joy, and cultivate positive relationships. Catherine Flavin is the founder of LeaderMom. 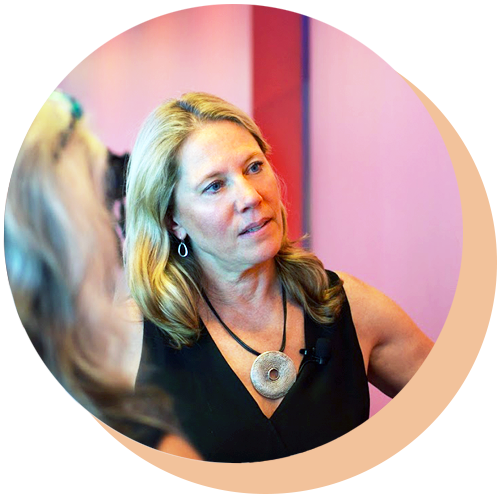 Across more than 20 years of work in engagement, leadership development and culture, she has hunted across industries and disciplines for insights from highly effective, fulfilled, inclusive leaders. Kelly Fredrickson, president of MullenLowe U.S., Boston, brings decades of experience as a leader in the world of global advertising. Authentic and brave, Kelly has been featured at CEB’s ReimagineHR Conference, 3% Conference, and within the IPG Women’s Leadership Network. Maria Sirois is a master teacher, facilitator, and author. As a positive psychologist (Psy.D.) 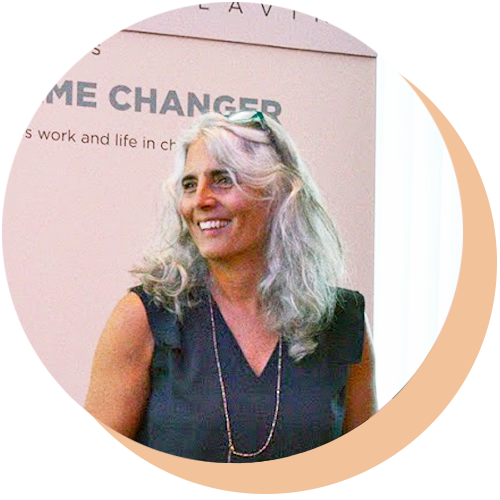 and international consultant, she focuses on the resilience of the human spirit particularly under chronic stress, during significant transitions or changes. In addition to the Advisory Board, MullenLowe, the early adopters and over-time advocates of this work. To really use this site well, there is one thing we ask you to master and hold us to: the definition of LeaderMom. A LeaderMom is someone who is high performing at work and admired as an engaged parent at home. We use the term in two different ways: very inclusively and very restrictively. We want to be upfront with that, and hope to avoid confusion. There may even be a quiz. Usage: Typically used in a broad and very welcoming way, it refers to our members, advocates, and anyone who has affinity with us. People pick up the term and use it to describe themselves and women they care about. In that context, it refers to cool people who are dedicated to work and home, and who want to be at their best, learn and smile more. We love how quickly women use the term LeaderMom to describe themselves. We hear comments from leaders whom we have never met at our talks that start like this, “As a LeaderMom, I…” Very cool. These are women who are or who aspire to be producers at work and also hands-on in raising children. Aimee who is a senior lawyer in the corporate world uses it to describe herself. It covers my dear friend Amy who is a vice principal in a school (who hopefully will adopt it). It includes Jessica, a young professional, with a great job and no significant other at this moment (so far as we know! ), who is percolating on ways to live a full life. It could be you if you run your own business, like we do, or run the parent-family organization in your school. You could be a CFO, intern, yoga teacher, chef, or retiree. You may be a leader and mom whose kids are grown or nearly grown, with work and life experience to share. In its broadest reach, this term is not limited by gender. If you are a spouse or uncle who wants to be supportive of your wife, partner, or significant other, and learn to be more engaged at home, it can include you. If you are a productive professional and a caregiver, male or female, who is trying to thrive at work and home, it’s you. Bottom-Line: If it feels like you, it probably is you. Welcome! The panel refers to a select cross-industry group of senior and executive leaders who were identified and nominated by talent professionals based on objective performance data and expert judgment. Those panelists* then completed our surveys and interviews; that data was analyzed by experienced professionals to produce our “LeaderMom Research” reports. Bottom line: Keeping this group “exclusive” enables us our research team to offer more powerful insights. We regret if it feels restricted and ask you to trust that we are committed to growing this panel with integrity in terms of research methods and our values. If we do, the findings will have more power for all of us. * Our panelists are in-demand (not perfect) leaders who are generous yet savvy about what they say yes to. More than one panelist has told us she completes our surveys and interviews because she feels honored and wants to help, and (here comes the savvy) because our reports enable her to “scale” how she answers the “How do you do it all?” question (which she gets a lot). Others have said that sharing this work changed the questions they got (“more about leadership, fewer about laundry”). As we get closer to the next study, we will be transparent about how the nominations are being submitted and who is doing it. Also, we will gather input and feedback from our members (e.g., on what questions you would love to ask panelists, what has value, what would be even more valuable) and design future studies that tap into your wisdom. Make a difference by battling bias and changing the story of what is possible when it comes to being a high-performing woman, at work and home.